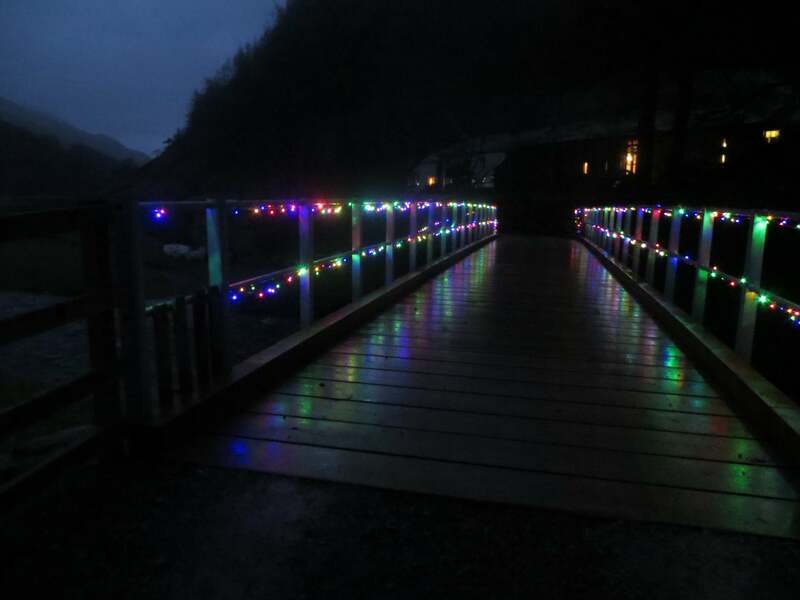 To brighten up our dark nights Jamie decided to light up the bridge. The reflections on the bridge are lovely! Don’t forget to come for a Christmas Tree. Although if you want to cut your own it is best to come in daylight. More Christmas decorations are in the kiln as I type.. I’ll see the results tomorrow.